kick in only if your estate exceeds $5,430,000, there are other issues that make estate planning important for most individuals. 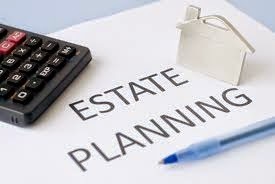 Start your estate planning by meeting with an attorney and your accountant. They can instruct you in the essentials of estate tax law and the requirements for establishing an estate plan. A key part of estate planning is compiling the documents that will accomplish your goals. 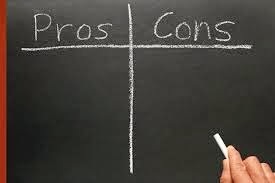 * Your will, which should name the guardian you choose for your minor children and an executor (personal representative) to carry out your instructions. * A listing of your assets. Include your home and other properties, pension and retirement accounts (401(k) & IRAs), investments (noting the cost basis), automobiles, jewelry, and any other assets. * Life insurance information such as your insurer, your policy number, the amount of insurance, and the location of your policies. * Financial and business records, including real estate deeds, tax returns and related support papers, your social security number, investment statements, and stock and bond certificates. * Funeral instructions, including your burial wishes and people to be notified upon your death. * Medical information and a list of your doctors. * Durable power of attorney, designating the individual(s) you select to act on your behalf if you're incapacitated. 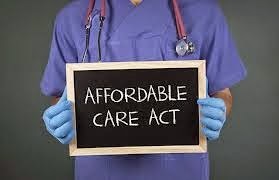 * Health care proxy naming the individual(s) you want to make health care decisions for you if you aren't capable. Keep your original documents in a fireproof safe or with your attorney. Put your list of documents and the copies in a binder at home and tell your executor where the documents are located. If you would like assistance with your estate planning, please contact our office. The advantage of filing a joint tax return is well known – you generally save money compared to filing separately. However, there is at least one potential disadvantage. Both spouses are jointly and severally liable for the entire income tax bill, including interest and penalties, even if one earned most or all the income. This issue most commonly arises when there are unpaid taxes from joint filing years, and a couple later separates or divorces. The IRS can pursue either spouse for the full amount. If you're the easiest one to find, or if you have liquid assets, you can end up paying the entire bill. When this happens, the only relief is the so-called innocent spouse rule. If you can prove that you had no reason to suspect tax shortfalls and you did not personally benefit from unreported income, or that you signed joint returns only under duress, you may get off the hook. Unfortunately, this is easier said than done. 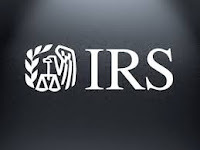 The IRS and the courts have been notoriously stingy in allowing innocent spouse relief. What can you do to head off trouble? First, consider the obvious. If your family spends much more money than the income shown on your tax returns, warning lights should go on. If you don't understand all the tax and financial issues in the joint return, ask questions. 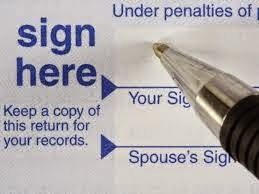 In certain circumstances, you may even want to consider hiring your own tax professional to advise you before signing. If you are headed toward separation or divorce, it may be best to file separately. You may pay a little more tax, but that's better than leaving yourself liable for the tax sins of someone who is no longer on your side. Don't file jointly unless you're sure that all income has been reported on the return and that the taxes have actually been paid. Persuading your working children to make retirement contributions may not be easy, but investments in Roth IRAs may be the wisest possible use of their earnings. The nature of Roth IRAs, coupled with the effects of long-term compounding, can create exceptional returns on such early investments. Although contributions to Roth IRAs are not deductible, earnings within the accounts (such as interest or dividends) are not taxed and qualified withdrawals are completely tax-free. Tax-free compounding can result in sizable accumulation in a Roth. For example, if a 15-year-old contributes $2,500 for each of four years, and the account earns 5% annually, the fund will be worth about $85,000 when the child reaches age sixty. It's generally best to leave IRA funds untouched until retirement, but if necessary, your child's contributions to a Roth IRA (excluding the earnings) can be withdrawn at any time without triggering taxes or penalties. This flexibility provides an advantage over a traditional IRA, where most withdrawals before the owner reaches age 59½ will be taxed and penalized. The owner's ability to deduct contributions is the one advantage a traditional IRA offers over a Roth IRA. However, this feature is relatively insignificant for most young earners. The first $6,300 of a child's 2015 income will be entirely sheltered by the standard deduction, and any earnings above $6,300 are likely to be taxed at very low rates. This year, most working people can contribute up to the lesser of their earned income or $5,500 to a Roth IRA. Although Roth eligibility is phased out for individuals with income above certain ceilings (e.g., $116,000 to $131,000 for a single person in 2015), a working child's revenue rarely will approach such thresholds. 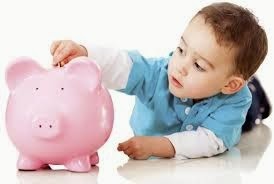 If you'd like to learn more about the benefits of setting up Roth IRAs for your children, contact us for assistance. Preparing for your retirement is a journey. And like most journeys, success or failure often hinges on decisions made early in the trip. Consider some of these pointers as you develop your personal road map to retirement. A solid retirement plan begins with an honest assessment of what your golden years will look like. Will they involve exotic travel, special purchases, or carefree living? Or do you plan to live modestly, perhaps working part time? A possible hint might be to consider how you are living right now. Many people assume that their living costs will decline later in life, but they often stay about the same or even increase. Once you know how you want to live, it's time to take stock of your assets. Are your investments where they should be, or do you have some catching up to do? 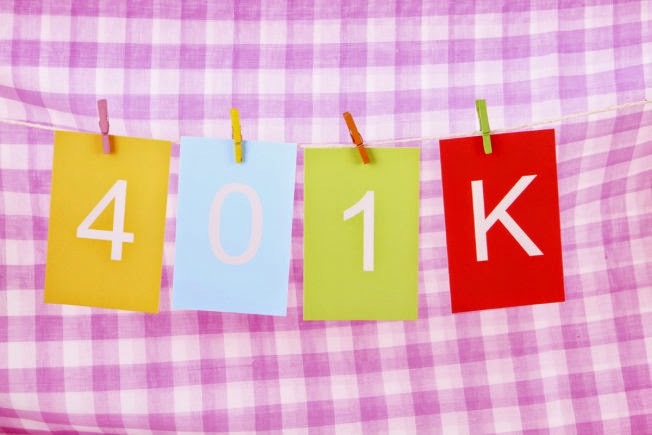 Keep in mind that those 50 years and older can contribute an extra amount each year into their 401(k) or IRA to help get up to speed. And no matter what career stage you are in, be sure to take full advantage of the matching provision in your employer's plan. Like any excursion, your path to retirement will need an occasional tweaking to stay on course. As your working years draw to a close, consider shifting your asset allocation from higher risk securities to those with less price volatility and steadier cash flows. And along the way, take steps to keep your household budget in check. Think hard before incurring additional debt that might stymie your retirement plans. Analyze your spending to see what you really need to live on. Finally, assemble a team of professionals to help chart your path. 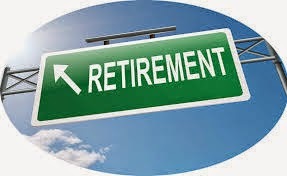 You might need to coordinate life and health insurance, estate plans, and tax issues to achieve your retirement goals. If you need assistance, give our office a call. Appropriately enough, investors may notice a slow trickle in earnings from "dividend reinvestment plans" (DRIPs). But these investments may end up providing a steady stream of income over the long run. The concept is relatively simple. More than 1,000 companies and closed-end mutual funds around the country offer DRIPs to their shareholders. These programs enable shareholders to purchase stock directly from the company by automatically reinvesting dividends in additional shares. Many DRIPs also allow you to voluntarily make cash payments directly into the plan to buy even more shares. Here are some of the main attractions of DRIPs. * Most DRIPs don't charge any fee, or only a nominal fee, for purchasing shares. * Participants may be able to purchase stock at a discounted price. The discount usually ranges from 3% to 5% and could be as high as 10%. * The DRIP may allow you to send optional cash payments (OCPs), often for as little as $10, directly to the company to buy additional shares. OCPs are often used to purchase fractional shares, thereby enabling investors to acquire blue chip stocks they might not otherwise be able to afford. * It's easy to join in. Once you've chosen a particular stock, check to see if it has a DRIP. The company will furnish the specifics, including a prospectus and the appropriate application forms. But that's not to say that investing in DRIPs is without drawbacks. There is a growing trend within the industry to charge a small fee for acquiring shares. Minimum amounts for purchases may be required. Also, the dividends that are reinvested are treated as taxable income, even though you don't currently receive any cash. If you change jobs this year, don't forget about your 401(k) in your old employer's retirement plan. You may be tempted to cash out the balance in the account, but remember that distributions from such accounts are generally taxable. Instead, ask your plan administrator to make a direct rollover to your IRA or another qualified plan. If you're under age 59½, this decision also avoids the additional 10% penalty on early distributions. An added benefit: Your retirement money can continue to grow tax-deferred. U.S. citizens and resident aliens living overseas or serving in the military outside the U.S. have a June 15, 2015, deadline for filing their 2014 income tax returns. Taxpayers using this automatic two-month extension for their 2014 filing must attach an explanation to their return that states whether they live overseas or serve in the military outside the country. The IRS reports that its enforcement budget has been cut by $254 million, a 5% reduction from the previous year. As a result, the Agency expects to cut the number of individual and business audits it conducts. In 2014 the IRS audited 0.86 percent of individual taxpayers and 26% of large corporations. Though audit statistics show a decline in examinations, the IRS contacts many more taxpayers with questions about their returns. Once statistics include these taxpayer contacts, the 2014 return examination rate is closer to 4% or one in every 25 returns filed. A new simplified Roth IRA is the newest retirement plan. The account is called a myRA (short for "my retirement account"). It's funded by having your employer make direct paycheck deposits to your account. The contributions to your myRA are invested in government-guaranteed Treasury securities. 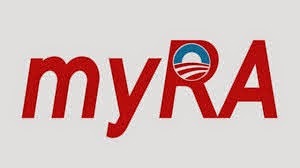 A myRA isn't connected to your employer; it belongs entirely to you and can be moved to any new employer that offers direct deposit capability. The annual contribution limits that apply to regular Roth IRAs apply to myRAs. To find out more about myRAs, contact our office. With summer vacations and warm weather just around the corner, tax planning may not be a priority on your agenda. The problem is that if you wait until December, you cut the time for planning strategies to take effect. But if you take the time to plan now, you still have eight months for your actions to make a difference on your 2015 tax return. Making time for 2015 tax planning now not only helps reduce your taxes, but also helps to put you in control of your entire financial situation. 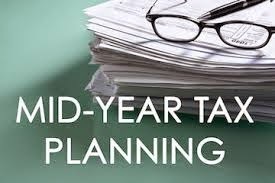 Tax planning should be a year-round process, but it's especially effective at midyear. Contact our office for guidance in identifying and implementing the best moves for your situation.